'When you live in the UK, you gain an appreciation for a good set of mudguards,' says Kinesis of its Fend Off guards. And true to form, they are a good set of mudguards. Very good, in fact. Most of your mudguard options out there are plastic, or plastic with a metal core. These Fend Off mudguards are anodised aluminium, and as such they're considerably stiffer than most. 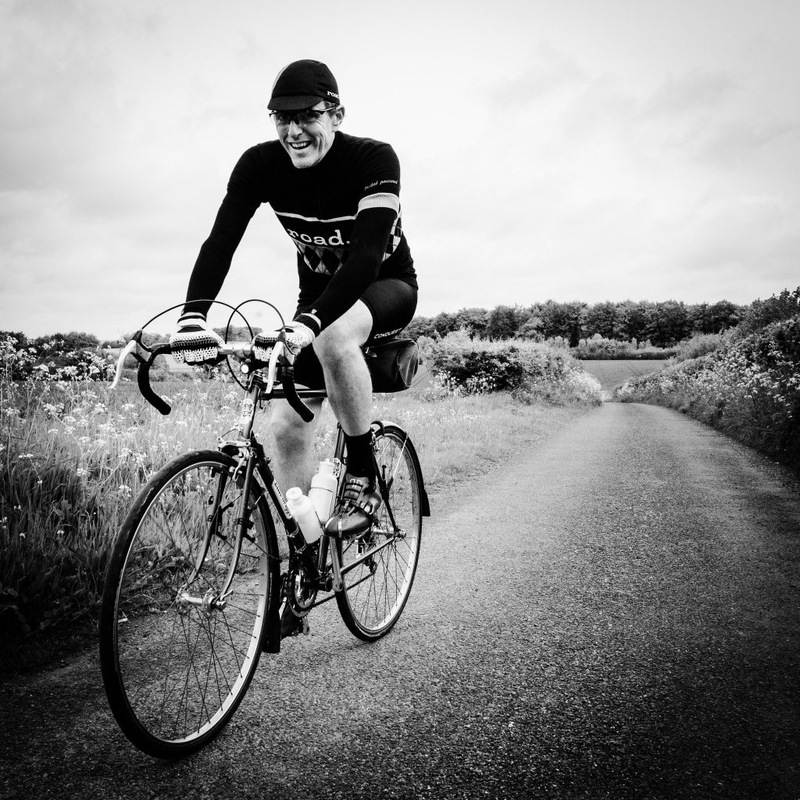 Kinesis has only used a single stay on the front, and that's plenty to keep the guard firmly in place. At the back there are two stays and a bridge mount, but again the guard is stiff enough that you could dispense with the bridge mount if, for example, you have a frame with no seatstay bridge. With it in place, the guard is very rigid and quiet. The Fend Offs are easy enough to fit, with a similar pinch bolt mechanism to SKS mudguards. The stays come with a rubber end cap to stop the cut end scratching you by accident; a Dremel tool with a cutting disc is the best way to trim them down. The stays were just long enough for my XL-sized Kinesis Tripster, which has long chainstays, so you're unlikely to run into trouble. The seatstay mount is adjustable and crimps into place; if you have a bike with a downward-facing mount on the seatstay bridge you can bend the adjustable mount round but you'll probably want to drill the mudguard and fit it directly for a neater finish. Once they're fitted, they look great. Really classy with a matt finish and laser-etched logos. The coverage from the mudguards is good, with both front and rear wrapping round the wheel a good way. The rear is shorter and if you're riding in a group you'll probably want to fit a mud flap. You're in luck there: the front and rear both have a mounting hole, a bolt for each is included, and the polypropylene packing card can be cut into flaps for front and rear. Nice job. The profile of the mudguard does a good job of wrapping around the tyre and cutting out spray. I was running 30mm tyres and there was plenty of room for something a bit bigger in my frame, but it will depend on how much clearance your frame has. 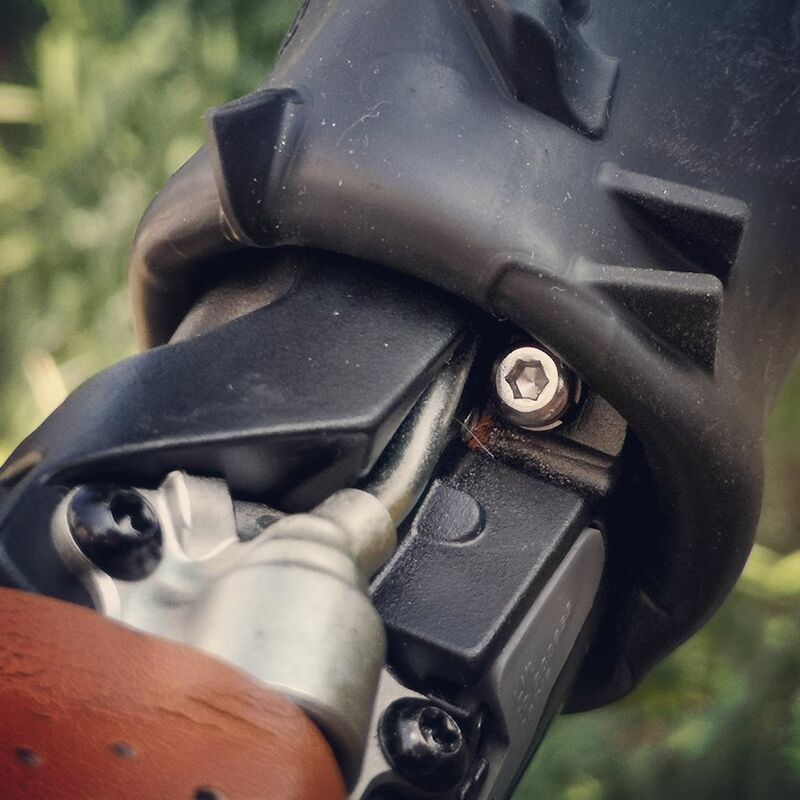 The front stay doesn't have a breakaway mount; SKS ones will work if you feel you need one, although they're designed for a double stay so they don't hold the guard quite as securely as they might. I was able to set the mudguard far enough away from the tyre that I wasn't so worried about getting anything stuck in between guard and tyre, but again the amount of clearance will vary depending on what you're fitting them to. Overall, I like the Fend Off mudguards a lot. They look good, they're easy to fit, they're quiet and effective and they come with flaps if you want them. When you live in the UK, you gain an appreciation for a good set of mudguards. The beautiful British weather that we experience can be ever changing and trying to keep dry and warm means mudguards become an all-round essential item to fit to your road bike. Not only do the Kinesis FEND OFF mudguards keep you dry and clean, but they prevent surface water and debris from collecting and clogging up the mechanics of your bike and weighing you down. 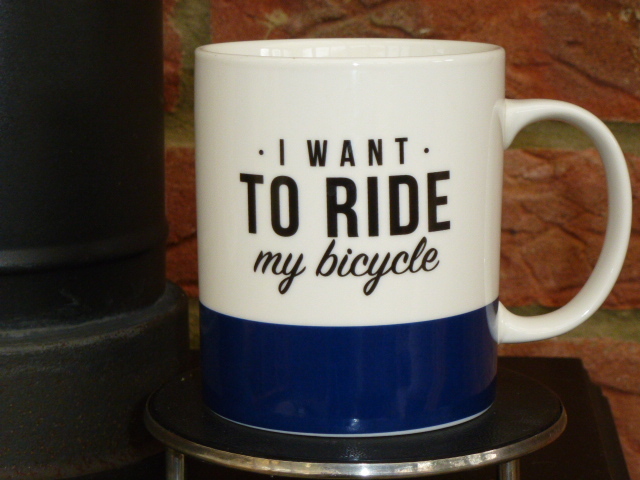 They help keep your bike cleaner, so you'll spend less time cleaning and servicing your bike. * Anodized Aluminium and adorned with laser graphics. * They provide full-wrap coverage and are full metal guards. * The header card can be converted to durable polypropylene mud flaps. Really nice mudguards, finish is excellent. Full alloy guards should last a long time. Heavier than chromoplastics, not by much. Nearer the top end of the standard offerings but you're getting good performance to match. They look good, they work well, they run quiet, flaps are included. On the pricey side, no breakaway mounts on the front. About the most expensive of the mudguards we've tested recently. Very good mudguards. At the top of the price spectrum for non-fancy guards, but worth the spend for good looks and performance. I get that the flap is an optional extra but would it kill a company to make a long mudguard in the first place? Portland Design Works have this nailed. These are about right, I'm well impressed with mine. Any longer and you risk grounding them on steps or kerbs, I regularly catch my flaps and would wince if it was the lovely anodised aluminium instead. Fitted these last week and then rode a 200 Audax in (relative) silence. Very good. Best of both worlds! I have mad multiple plastic guards, PDWs and the peened metal ones (name escapes me) and these are the best. PDW are lovely and perhaps conceptually a little nicer, but that effing adjusting screw on the stays drove me crazy and then just died. Recommended. Me too. And I once had this saddle, completely crazy it was; and don't talk to me about insane handlebars, I've had 'em up to here. Totally agree kil0ran. A big stick bounced into my front wheel when I had my last set of SKS thermoplastics. The front mudguard release tabs both ripped out exactly as they were designed to. They needed replacing after that but they stopped me going over the bars at some speed. Both Velo Orange and Honjo do guards of that description. I've got some Velo Orange guards (ribbed design not peened) and while they look good and are rigid, they do make some assumptions about fitting which don't really tally with many modern bikes. Doubly important if you're running mudguards with rim brakes where inevitably the guard is closer to the tyre. I'd love to know how many replacement tabs SKS have to sell. I don't see how breakaway tabs stop anything - the object is still going to carry on up to the crown, where it can still get wedged betwixt fender and tyre. ...and if you're really worried about this sort of thing, best you not think about the 30-odd spokes in your wheel, waiting to slam a stick or whatever into your fork and jam the wheel. Potentially, because the Fend-offs are metal, it's less of an issue. Due to tight clearances I have to run my mudguards closer than is safe so I wanted the extra piece of mind. I'd guess that sticks through spokes isn't that much of an issue for road-cyclists, and most of my riding is on the road now. if you are after alloy ones. They look better (black single stays) and are securer.